Ferrari failed to convert its first front-row lockout since 2000 into a victory for either pole-sitter Kimi Raikkonen or championship contender Sebastian Vettel, with Lewis Hamilton and his Mercedes pit wall outfoxing both en route to a decisive victory. 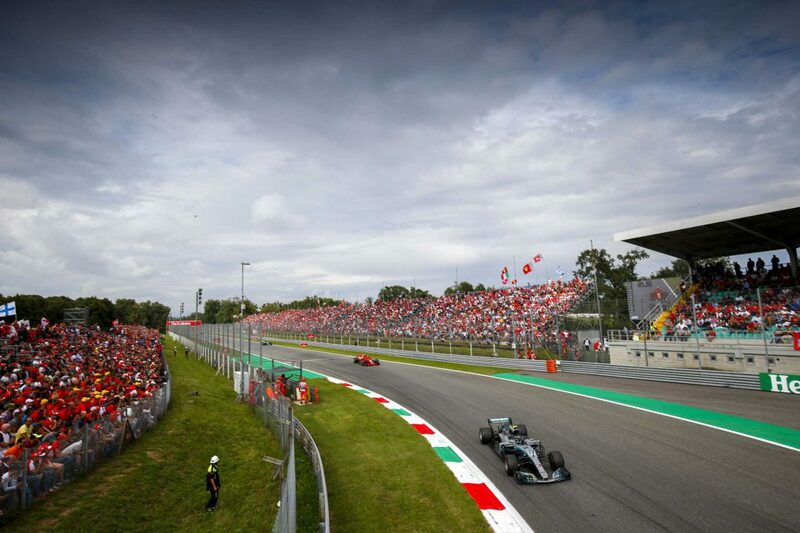 The Scuderia was strategically hamstrung, however, after Vettel hit Hamilton on the first lap and tumbled down the order, leaving the then leading Raikkonen to fend off both Hamilton and Valtteri Bottas in tactical thriller that ultimately left the partisan home crowd heartbroken. 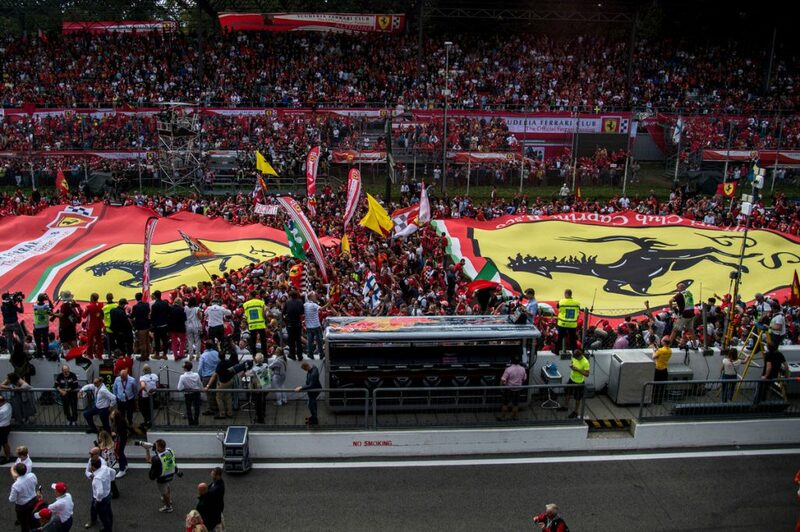 Ferrari’s strong pace in Belgium was a precursor to a competitive showing at its home race in Italy, with both Spa-Francorchamps and Monza rewarding power above all else. Friday practice bore this out, though it was closer than some expected — part of Mercedes’s problems in Belgium was down to tyre wear, which sprung from the car’s poor traction out of slow corners. 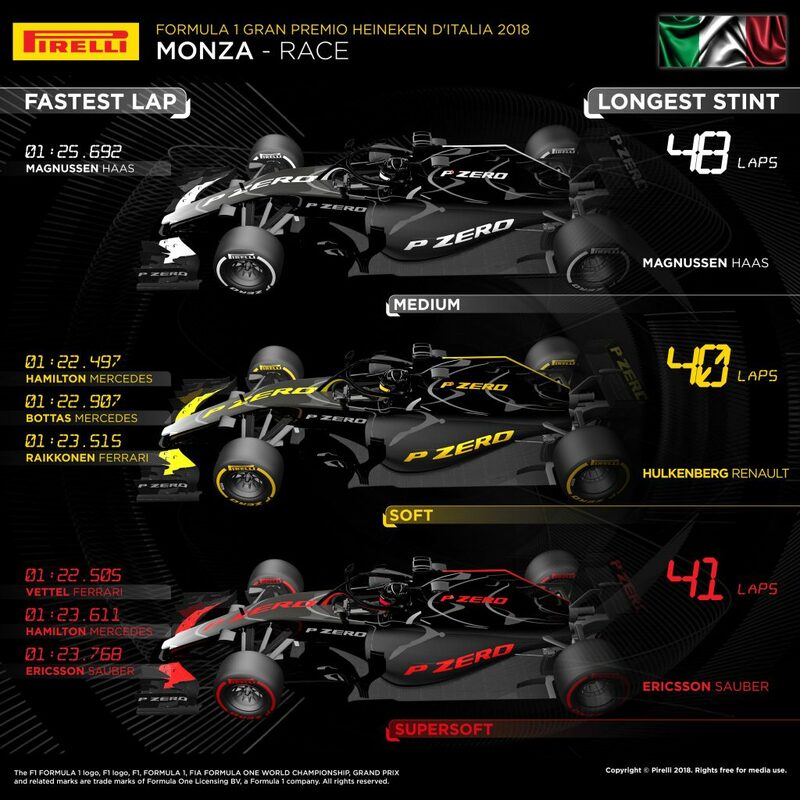 With so few slow corners in Monza, the gap had shrunk between the frontrunners. 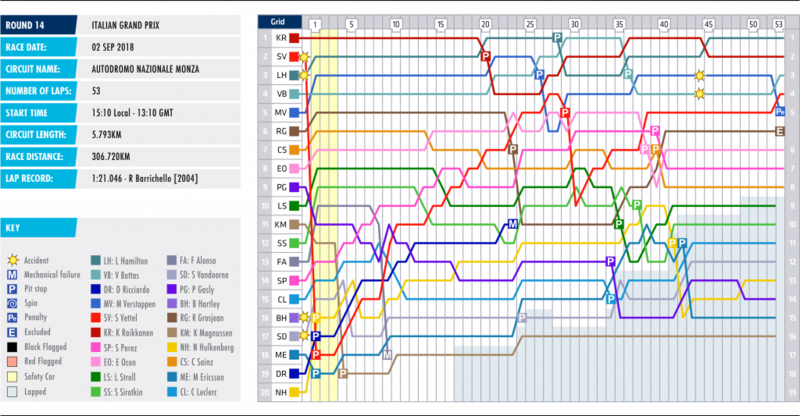 Both Ferrari and Vettel started the weekend down in the championship standings but with momentum. The Scuderia had gone without a home win since Fernando Alonso’s 2010 triumph, but both were confident of breaking the drought. Did the pressure of performing at home to give the title hopes of team and driver get to Ferrari and Vettel? Only they know the answer for certain. Ferrari’s first true error came in qualifying, when Kimi Raikkonen was given the benefit of starting both his Q3 laps behind Sebastian Vettel, thereby benefitting from his slipstream on Monza’s long straights. Vettel said he and Raikkonen take it on turn to leave pit lane first, but there was some conjecture about whether this was on a per-weekend basis or run by run. Whatever the case, that Ferrari chose not to preference Vettel over Raikkonen despite the latter being realistically well outside the championship frame was a strategic error, innocuous though it may have seemed at the time given the result was a front-row lockout. Vettel was obviously frustrated at the end of the session, and his eagerness to get past his teammate at the first and then, fatefully, fourth turns was perhaps derived from this hangover of frustration. Though Ferrari’s qualifying strategy was a contributing factor, its home-race collapse was triggered by Vettel’s botched attempt to defend second place from Lewis Hamilton. Vettel had an ambitious look down the inside of Raikkonen at turn four, but in doing so he opened the door for Hamilton to cruise around his outside. Perhaps fretting about his error and lacking some downforce tucked in behind Raikkonen, the German slid slightly wide out of the left-hand corner and hit Hamilton, sending himself into a spin that left him 18th. 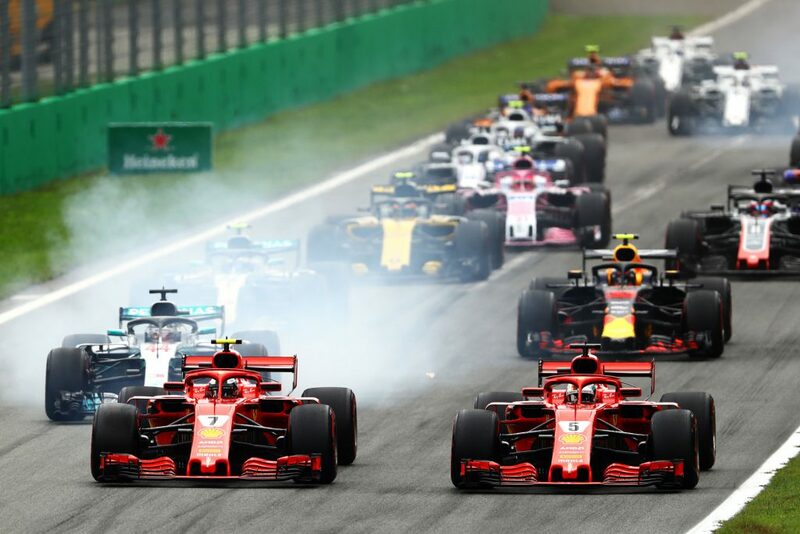 Raikkonen still held the lead, however, even after Hamilton briefly seized first place at the safety car restart, but from there Mercedes was able to use both its cars strategically against the Finn to prevent him from winning his first race in more than five years. 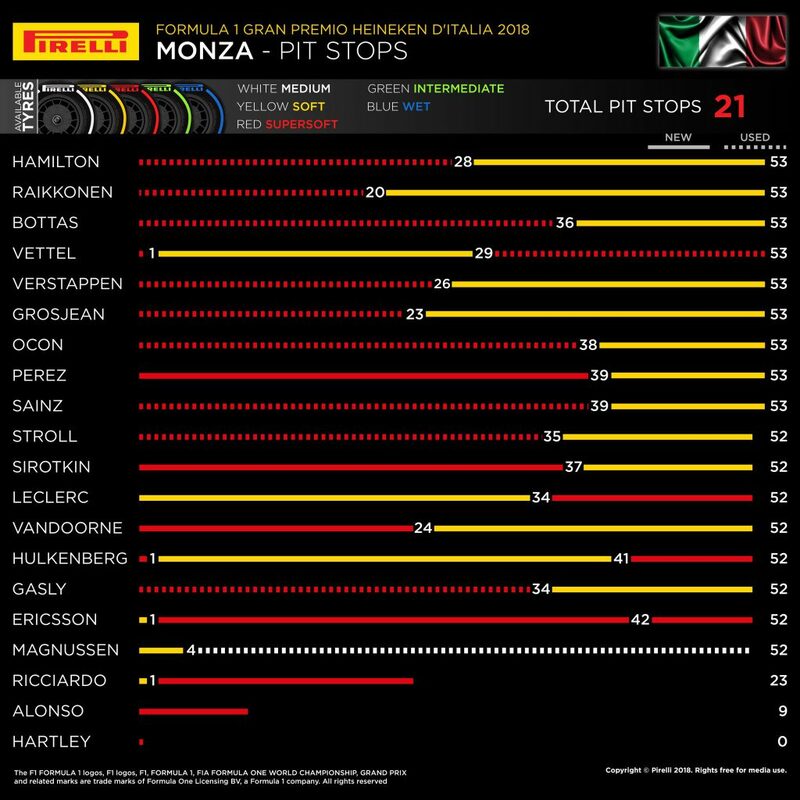 Hamilton was shadowing Raikkonen with relative ease in the first stint, so Ferrari opted to pre-empt an undercut by bringing in Kimi on lap 21. Mercedes ordered Hamilton to do the opposite, and the Briton stayed out hoping his used supersofts could build a pit-stop buffer over the new soft-shod Ferrari. It soon became obvious this wasn’t going to be the case, however, but Mercedes left Hamilton out until lap 28, in part because Daniel Ricciardo’s Red Bull Racing car had stopped by the side of the road — a virtual safety car would’ve meant Hamilton could pit and jump Raikkonen, though the VSC was ultimately not triggered — and partly to give him a greater tyre offset against Raikkonen. The Briton was brought in at the end of lap 28, just in time for Raikkonen to catch new race leader Valtteri Bottas, who hadn’t yet stopped. Mercedes directed Bottas to keep his compatriot behind him at all costs, which allowed Hamilton to make up his six-second deficit in just four laps. By the time Bottas made his own pit stop at the end of lap 35, Raikkonen had cooked his softs, with blisters erupting on his left-rear tyre. His lap times improved in the clear air, but his defence on the worn rubber lasted only nine laps. Hamilton scythed past on lap 45 and sprinted into the distance. Bottas’s deployment as a road block hampered his own race, dropping him into fourth behind Max Verstappen after his stop. Though he was substantially faster, Verstappen defended hard — too hard, in fact, earning himself a five-second penalty that lost the Dutchman the place to Bottas anyway. Vettel also gained a place through Verstappen’s penalty. The German switched to the soft tyre at the end of lap one when he stopped for a new front wing. It gave Ferrari the opportunity to attempt to run to the end, but the tyre was put through too much stress as Vettel scythed his way through the midfield and blistered, requiring a change on lap 36. The midfield battle was particularly close all weekend but was ultimately decided along engine lines. 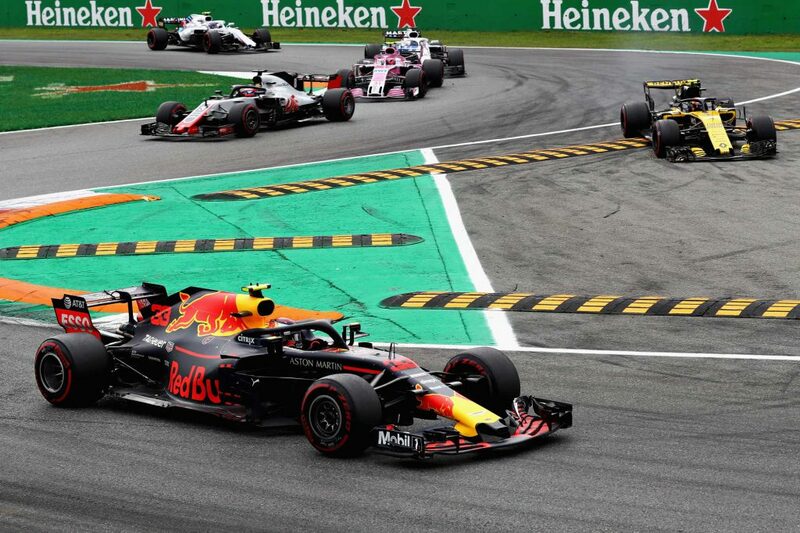 Carlos Sainz was a good example of the power disparity, the Spaniard starting seventh but finishing ninth on the road — eighth after Romain Grosjean was disqualified — after losing places to Esteban Ocon and Sergio Perez, who started eighth and 14th. Ocon made his way past the Renault on lap 18 for sixth, and it took Perez until only until lap 24 to catch and pass Sainz for seventh. Carlos was powerless to defend down Monza’s long straights. All three drivers went long on the supersoft tyres, with Ocon taking his set to lap 38 and Perez and Sainz stopping one lap later. Perez’s pace was especially impressive given the Mexican’s starting position — he was within three seconds of Ocon when the two made their pit stops despite his car carrying damage from a lap-one skirmish with Kevin Magnussen. Romain Grosjean’s 2018 renaissance continued with strong sixth-place qualification and finish, notwithstanding his car being disqualified for a technical infringement after the race. Grosjean ran a conventional strategy, stopping for a new set of soft tyres on lap 23 anticipating an Ocon undercut. When Ocon went long, Grosjean was forced to knuckle down for a long series of consistent laps on the slower tyre to ensure his compatriot wouldn’t jump him when Force India brought him in. The result was a satisfying four-second buffer, which was enough to stave off Ocon’s late-race assault on the position despite the tyre offset — though it all counted for nought after his disqualification.